The Brazilian coast in the south of Brazil offers some amazing views, great beaches and overall incredible nature. The sand is almost always perfect and the weather rarely disappoints. I left Rio for Paraty, four hours down the coast. This little colonial town is a very popular tourist destination and it’s easy to understand why I soon as you take a few steps in town. The whole village was beautifully restored and not left as a soulless piece of history. Shops, bars, restaurants and guesthouses are all over, keeping the life in the old houses. Paraty is one of the top, if not the best, colonial town I’ve been to. 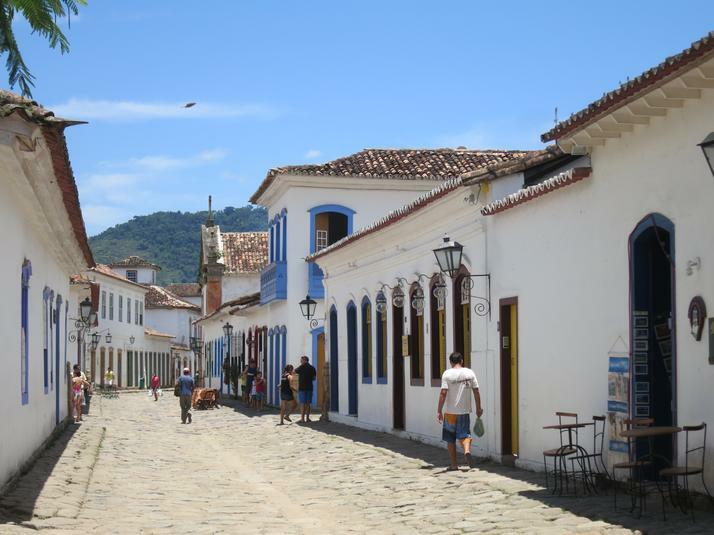 The attractiveness of Paraty does not stop to the colonial town as the surroundings are as amazing. The town is located next to the beach, set in the middle of an hilly region covered with lush vegetation. 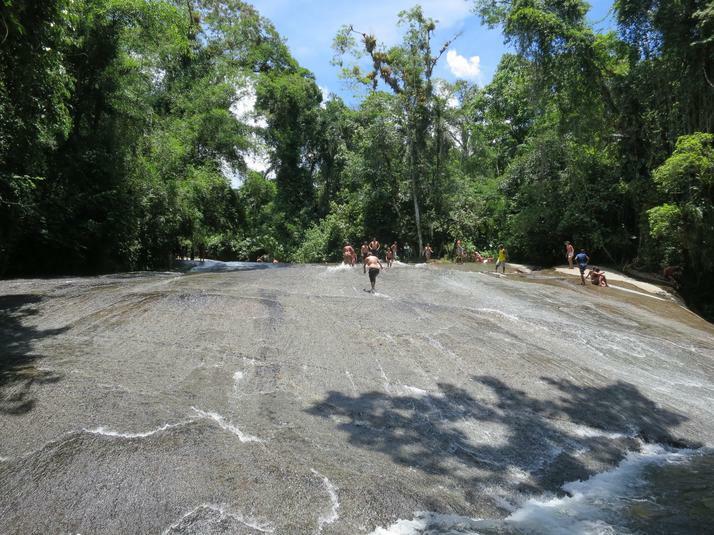 There are some beautiful waterfalls which can be easily reached by bicycles or using day-trips in Jeeps. 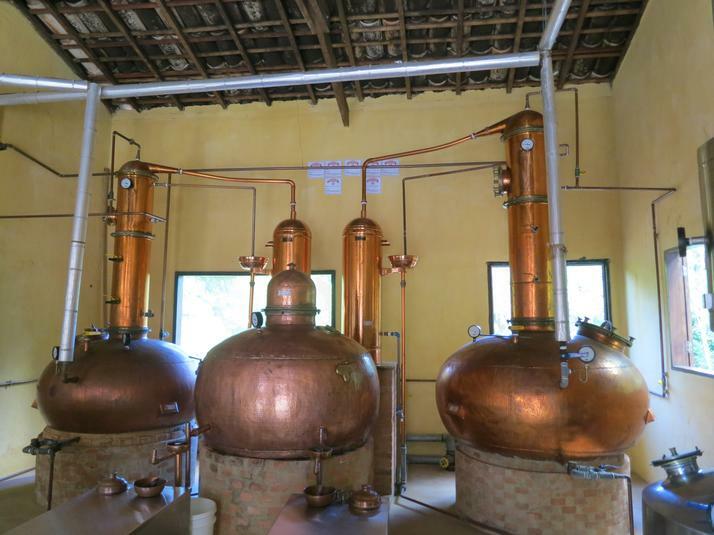 A quick visit to a Cachaça distillery is also worth it. Thirty minutes away from Paraty lies Trindade, easily reachable using the hourly public bus. Beaches are the main attraction as well as the natural swimming pool, an area with shallow water, protected by huge rocks. 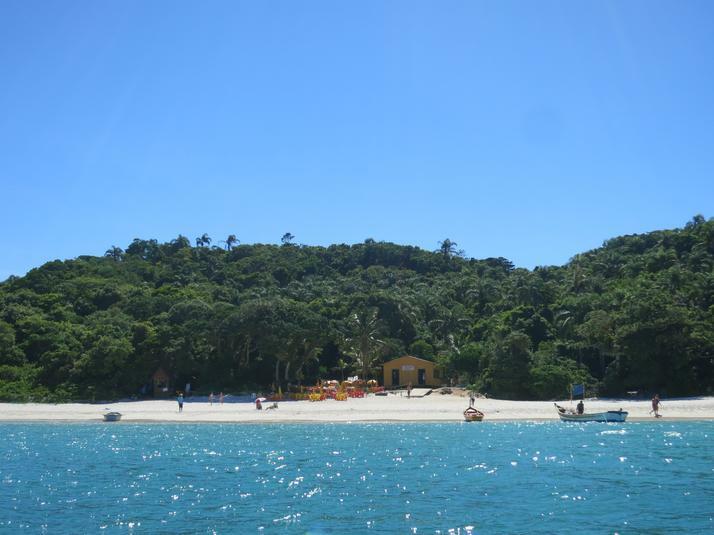 From Paraty, you can also do a day-trip on a boat to the many surrounding islands. Be aware that the boats are very crowded. The best way is to go directly to the docks and spot a not to crowded one. There are more private options but expect them to be expensive. 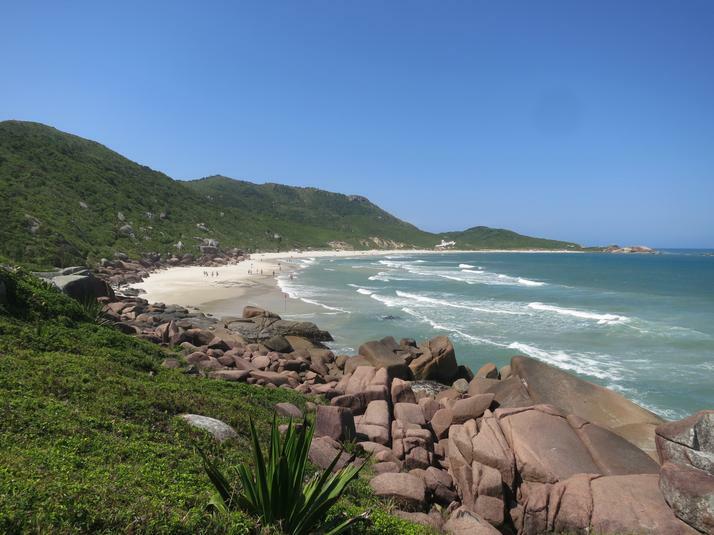 Much further down the coast, I spent three weeks in Florianopolis, a huge island between Sao Paulo and Porto Alegre. Famous for its 42 beaches, it is a big summer destination where the party is on every night. The northern part of the island is more crowded and more developed. Most backpackers will stay near the central lagoon in Lagoa de Conceiçao, a nice little town not too far away from the best beaches and with a lot of things to do. I celebrated my birthday there by going scuba diving to one’s of Brazil top dive site and having dinner with friends in our own apartment. It was a great day although the diving is not worth the money and can be safely skipped as there’s not much to see. A day trip to Ilha do Campeche is something not to miss however. This beautiful island is a protected reserve where only 400 people are allowed everyday. Take the bus down to Armaçao where you can jump on a local fishermen boat (there is another more touristy option leaving from Campeche). You will need to pay a national park fee (R$60) and your time on the island is limited to four hours. Taking the boat in Armaçao is cheaper and allows you to arrive earlier than the bigger boats from Campeche which means experiencing the island’s only beach with fewer people as well as get a nice spot. While I stayed in Florianopolis for three weeks, two of them were spent working on some travel-related projects which I will announce very soon. Stay tuned!